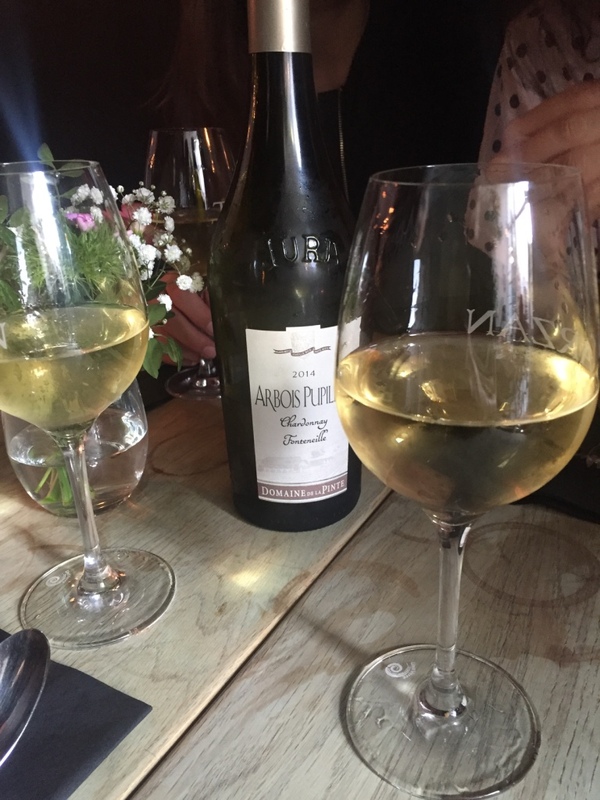 Natural wine - what is that? Normally, this means that the wine is produced without any chemical additives, like sulphites. As soon as even a small quantity of these is added (at bottling for example) one speaks of organic wines and not natural anymore. But lines are blurred here and there is no strict regulation, which is why one natural can differ to some extent from another one. 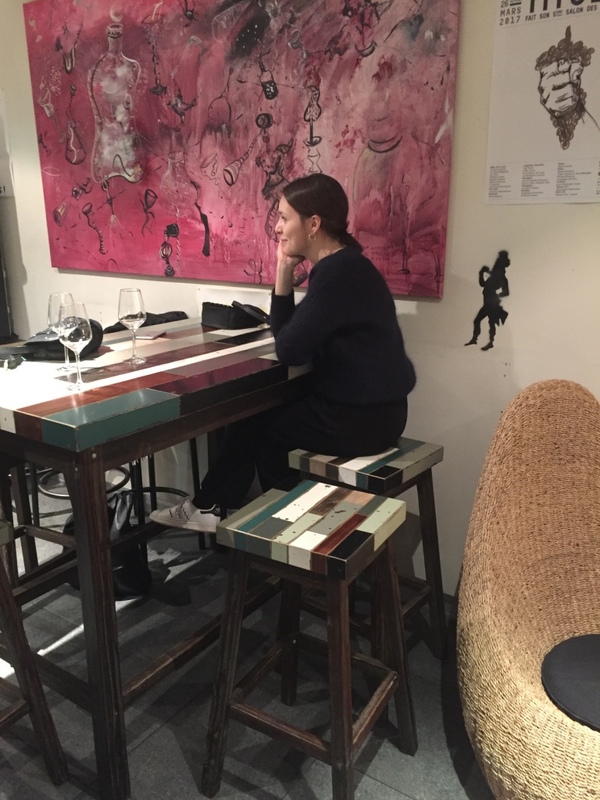 The concept of natural wine is an issue where often no common opinions exist. Some love it and say they don’t drink anything else anymore, some say it’s not a great concept. Why? Because according to the contra-camp, the wine cannot evolve during the same time as other non-natural wines do. This is, because natural wine can’t be conserved for a long period of time as it will simply go bad. Also, they say that because of lacking additives, natural wines take up unwanted flavours, and end up tasting like cabbage or similar odeurs. I do like natural wine a lot. Especially, because very often it doesn’t give you that unwanted headache the next day, or at least not a major one as some wines do. 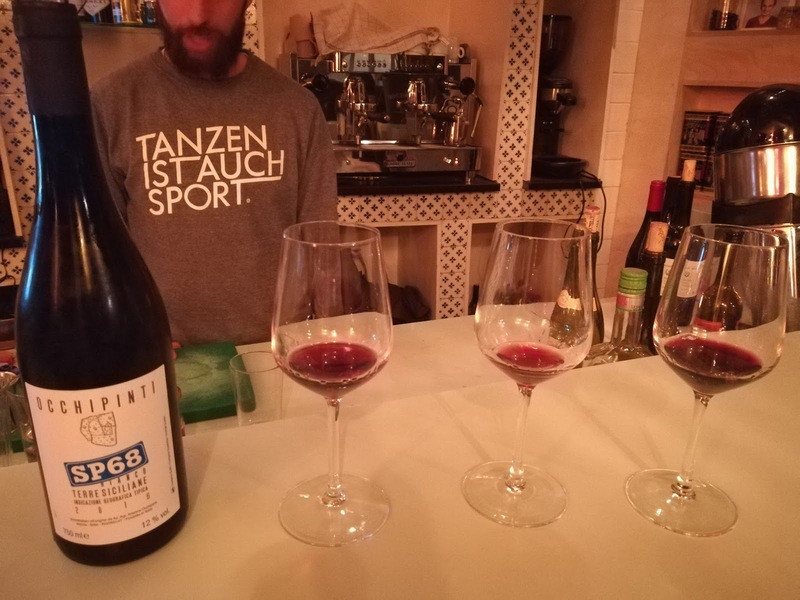 Of course not all natural wines taste great and also some are being sold a bit overpriced. 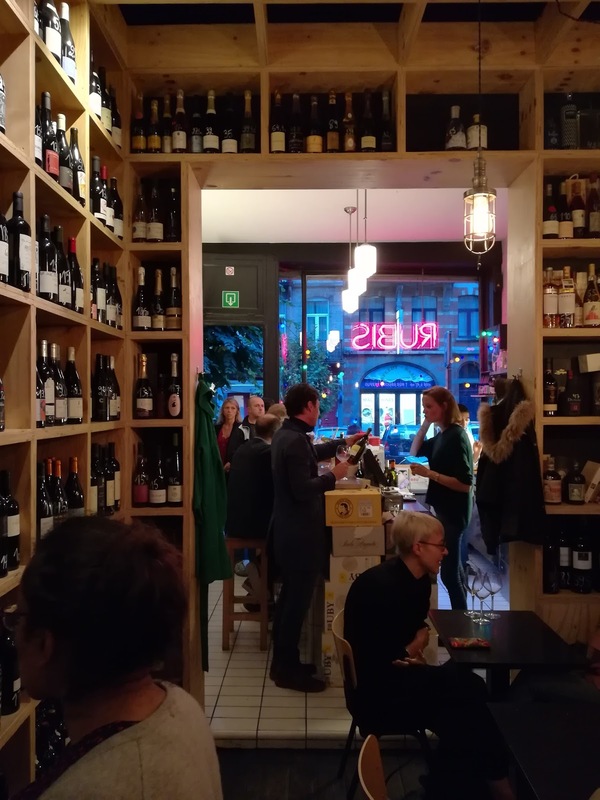 That’s why I put together this small list for spots in Brussels where the wine is great and the food is also worth trying. 1. 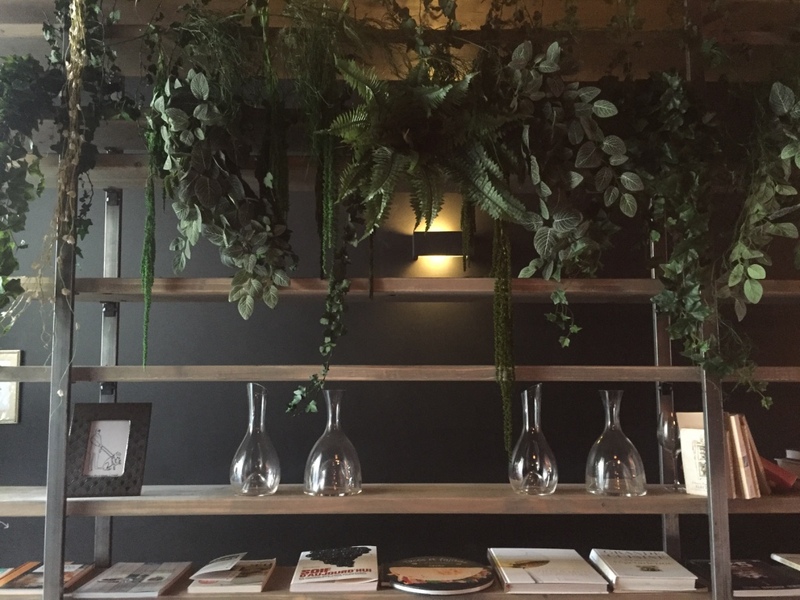 Chez Jane: A newly opened wine shop that also organizes tastings. The price for abottle can range between 10€ to 30€ or more. The owner Matthieu and Coralie are more than happy to give you advice, otherwise Matthieu Dubrana, sommelier and creator of the wine Exode (available in both red and white) is also there to give you to give you tipps so you can make a choice between the many French, German or other natural and biodynamic wines that are available at Chez Jane. 2. Tarzan: The counterpart to Jane. Here you can order a bottle or a glass of wine that are offered next door at their shop. The cool thing here is that you can sit down in a nice atmosphere, surrounded by light wooden tables and a shelf full of plants in the back of the place. It’s not a huge restaurant, but very cosy and people are also nice and helpful. Food served here, are little plates like hummus or burrata. When I was there last time, two cooks from Scandinavia put together a very nice 5-course menu for 55€, to be shared by two. 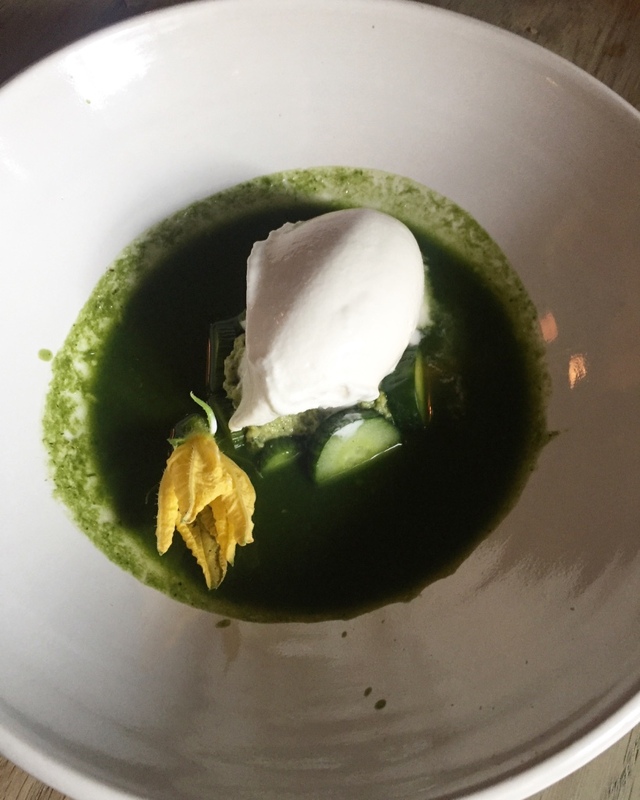 It contained cucumber gazpacho with goat cheese ice cream, pickled herring, and liquorish ice cream (the texture was perfect) as dessert. This was a special event, but I’m sure they’ll host something similar soon again. 3. Le Tournant: After an extensive review (here) I have to talk about the wine at the restaurant. Denis, the chef, is a big fan of natural wines and that’s also the only wines served at here. 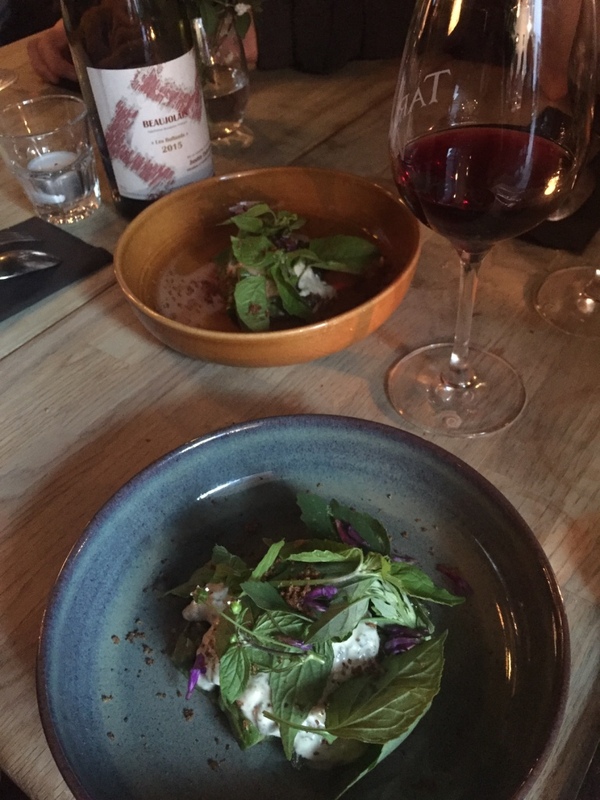 It was incredible how every dish during our dinner was matched with a certain wine so perfectly, that both complemented and enforced each other in taste. A sparkling Chenin with fish, a Languedoc and another white wine from Tuscany with raw fish Tartare, Foie Gras, Pâté and Rillettes. Another Languedoc from Grenache and Cinsault grapes with the perfect Entrecôte and finally the delicious yuzu Sake together with the lemon cake, Moscato d’Asti with a pear and apple crumble and sparkling wine with the chocolate tart. Pure perfection. 4. Les Brigittines: It was here that I first tried the white Exode produced by Mathieu Dubrana and Nicolas Scheidt. The wine is quite special and not everyone’s thing, but goes great with fish and seafood. A hint of cabbage in its taste is what some people don’t like, but for me it was just perfect. Here as well, the dishes are paired with very nice wines if you ask for some tips. 5. 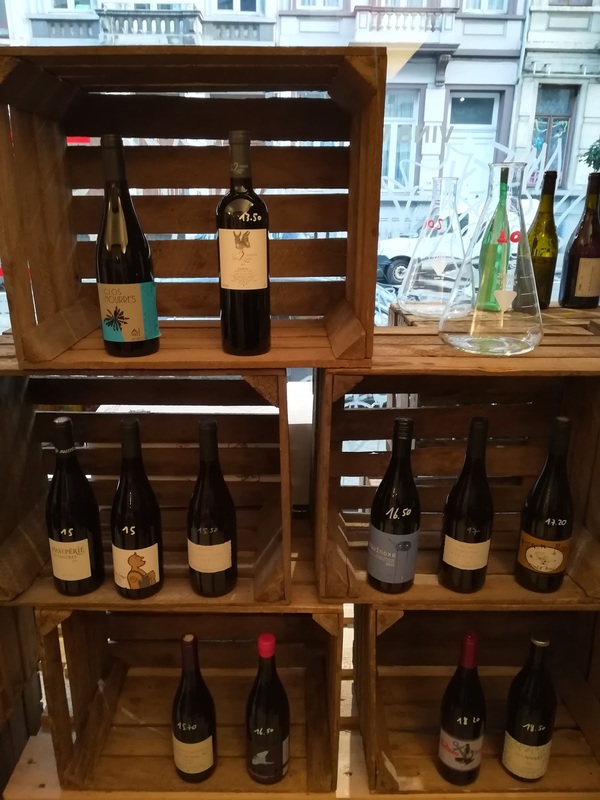 Le bout de gras: In the heart of Châtelain, this place serves a number of natural wines along with food that is a mix between traditional French and kitchen from La Réunion. Make sure to try the cassoulet dish: duck confit, pork, lard, and sausages, mixed with beans and baked in a crust on panko crumbs. The cook is very nice, up for a shot of Calvados at the end of your meal. You shouldn’t be impatient though; waiting times can get a bit long. Not all wines are natural, but all are paired nicely with the dishes if you ask for it. 6. La Buvette: A nice restaurant serving 6 or 9-course dinners, paired with wine or not, depending on your preferences. But even if you order just a glass, there will be surely something to please you. A longer review on the food can be found here. The sommelier choosing the wines for the restaurant is Matthieu Dubrana, therefore Exode can be found here as well. 7. Rubis Wine Bar: A small shop with some seating inside and outside that gets quite buzzing on the weekends. 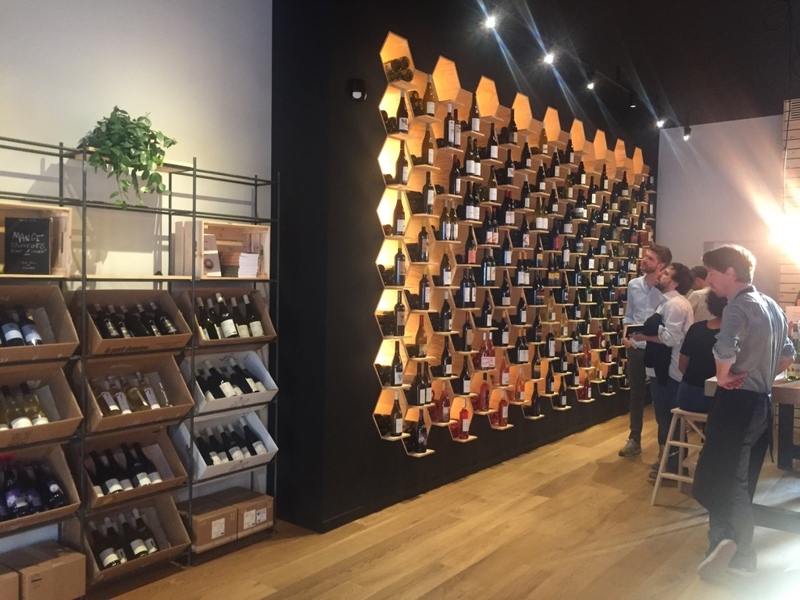 Two big shelves cover the wall on the right side of the entrance with many, many wine bottles. Not all are natural wines, but the waitresses are happy to help and tell you which are. Although I saw some wines in the selection that were French supermarket wines that I wasn’t a big fan of when I tried them back in Paris, the overall selection is quite nice and you can have a little snack at the bar, too. 8. Titulus: A nice little shop with some seating in the back of the shop and outside. This is the place where many wines from Le Tournant come from and also other restaurants get their wines from here. The selection is not huge but unique, offering some very nice natural wines. You can have some charcuterie and some nice cheeses with it, or simply buy a bottle and take it home. 9. Cave Coop: Not far off place Flagey, this shop opened 3 months ago and offers a small amount of well-chosen and very fair-priced natural wines, soon being turned into more of a wine bar, as right now it’s more of a shop. They also have a wine made by themselves, which I am keen to taste soon, but which unfortunately was not available to taste when I was there. 10. Jane’s: Not the same as Chez Jane but not far from it. The shop is owned and run by Jane, known in the Brussels music scene. Pablo the manager, also a DJ, gave us a little wine lesson with their bio wines and a few natural ones that you can get per glass or bottle. The place is decorated in a simple but nice way with bar men and women being very friendly. 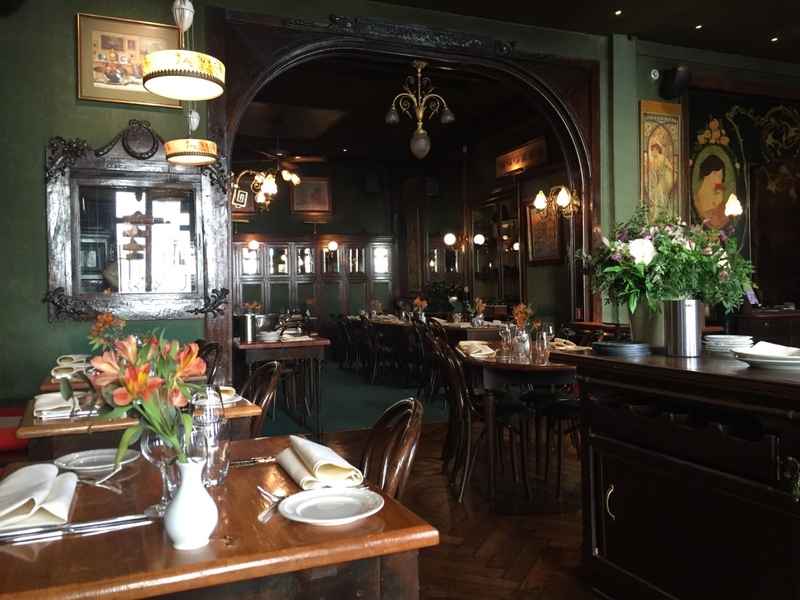 The place serves some small dishes, like baked scamorza, Croque’s, or cheese platters and charcuterie. And of course, the music selection here is superb.